Color and is a proven weapon for training and having fun at the range. 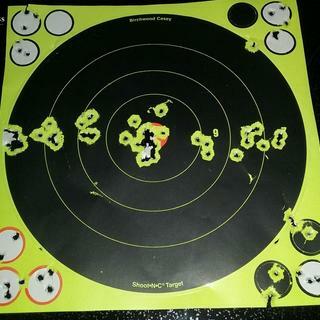 I am new to shooting and 22 after my shoulder operation will not hurt it a bit. Plus I want my wife to shoot and to have fun with this gun. Great little fun fun to shoot. Awesome customer experience with Grabagun! This is such a fun firearm to shoot! ...with features that are absolutely awesome; the modular platform allows it to work perfectly for training, plinking and hunting applications; this rifle is accurate and has worked flawlessly using all different brands of ammunition. My daughters favorite rifle to shoot . The rifle is accurate and fun to shoot . Do not use non-jacketed bullets, it will jam. very nice and on point!! grab a gun always a great place to do business with. Just Buy It! If you dont have a 22lr in your collection this one needs to be your. My favorite gun i own. First time buying from Grabgun customer support was great. Will be back. Also their news letter is amazing lots of great steals. This guy's fun & it works well. I was skeptical But was proven wrong. Enough said. Only have used a few times about 75 rounds in the range without any issues . Best gun to have in your gun cabinet. Doesn't cost much to shoot. Doesn't beat you up. Ideal starter gun for my kids. Perfect introductory weapon for my wife. Just an all around great gun. I'll be buying a few more of these. Great gun. It looks good, shoots well and has a tremendous feel for the $. The price was good and shipping was fast with Grab A Gun too. Really enjoyed this gun! 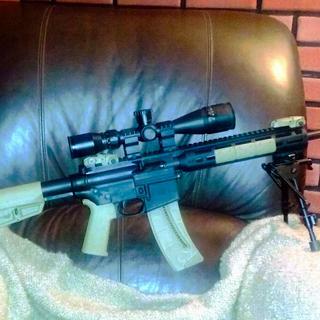 Ran superbly and was very accurate with the included sights. Can't wait to shoot this gun again!